Ever since it was founded nearly 40 years ago, La Casa de la Raza — ground zero for many of Santa Barbara’s Latino cultural, political, and social organizations — has enjoyed something few nonprofits even dream of: its own building. A former construction warehouse located at 601 East Montecito Street, La Casa’s headquarters actually looks much more like a fortress, and with 26,000 square feet of prime Eastside real estate, it’s almost as big as one. 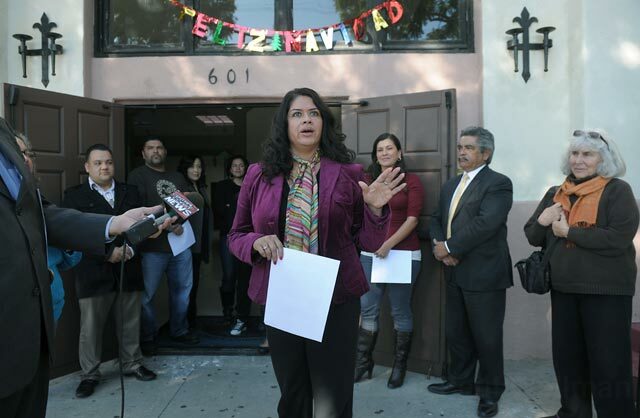 But even as La Casa’s directors prepare to celebrate the organization’s 40th birthday next March, their dream — hatched by Latino activists during the heat of the Civil Rights movement — is slipping toward nightmare. County tax collectors recently put La Casa’s Board of Directors on notice that the property could be placed on the auction block as early as next May, and no later than May 2014. La Casa is currently eight years behind in its property taxes, delinquent to the tune of $87,669. By April, that amount will exceed $91,000. Unless this bill is paid in full, collectors insist they will be legally obligated to pull the plug on La Casa and auction off the building that, even in today’s depressed market, is worth $3 million to $5 million. This may be the most public salvo of dire news to afflict La Casa, but it’s hardly the first. In 2010, foreclosure notices were placed on La Casa’s front doors after the organization fell $145,000 behind in its payments to Santa Barbara Bank & Trust. Only when a group of investors led by La Casa’s original director, Tomas Castelo, intervened was a forced courthouse sale averted. But even before that, La Casa was embroiled in a battle with the Internal Revenue Service that so far has cost roughly $90,000. So firm was the feds’ grip that by the time the proceeds from La Casa’s famous Fiesta torta sales made it to the bank, the IRS would seize those assets. All of this sustained financial tumult has sparked a proliferation of pointed questions, criticism, concern, and rumors, some circulated by a handful of La Casa’s original founders, that the organization’s current leaders might try to sell the property. Two weeks ago, word was that La Casa had, in fact, already been sold. But La Casa’s current executive director, Raquel Lopez, has emphatically denied that the property was up for sale or that a sale was even being considered, and has confirmed that immediate steps are being taken to address the short- and long-term financial problems. Over the years, La Casa has proven a fertile incubating ground for a host of community organizations big and small. Zona Seca, one of the preeminent drug and alcohol counseling centers on the South Coast, started there, as did numerous medical clinics. Of statewide cultural significance, Teatro de la Esperanza — an acclaimed theatrical company specializing in political street theater — started at La Casa, as did numerous social action organizations like PUEBLO. 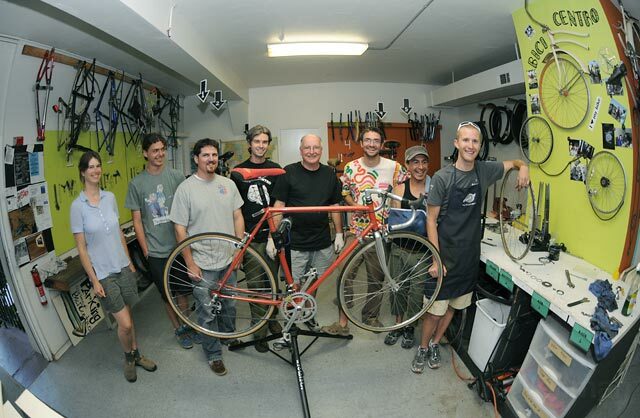 More recently, Bici Centro — a multicultural bike kitchen seeking to expand beyond the typically Anglo base of two-wheeled transportation activists — has set up shop at La Casa to offer low-cost repairs, cheap bikes, and free training in the art of bicycle repair to everyone. It’s also been the site of innumerable private parties, dances, weddings, and quinceañeras, not to mention the stage for countless plays and concerts, featuring such bands as Los Lobos and X. And back before the Casa Esperanza homeless center ever existed, it was Casa de la Raza that provided winter shelter space for the homeless. The need for La Casa has not diminished in the past 40 years, said Lopez, and the sprawling structure still houses organizations that offer counseling, tutoring, dance classes, meeting space, job training, and naturalization assistance. It’s where a former gang member — and now UCSB professor — meets regularly with at-risk youth mostly from the Eastside. It remains a community hub, evidenced by this past Saturday night, when more than 300 people showed up to celebrate Las Posadas, the traditional pre-Christmas celebration, and on El Día de los Muertos — the Mexican celebration that occurs the day after Halloween — when 600 showed up at La Casa. 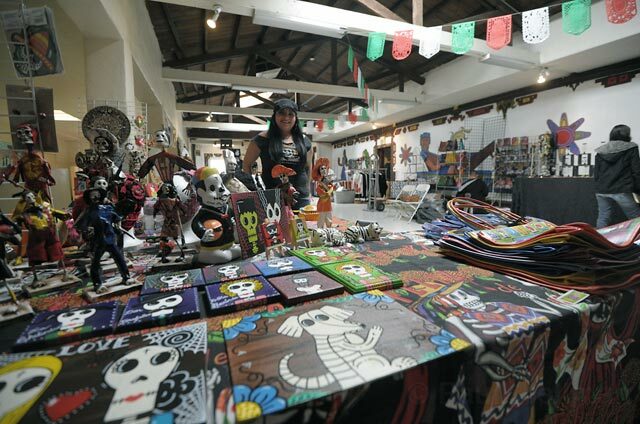 In fact, between 3 p.m. in the afternoon and 9 p.m. at night, there’s simply no available space to be had, said Lopez, who also noted that, every day, Mexican and Chicano workers still walk through the doors with tales of economic woe, discrimination, and exploitation. In 2005, Nava settled a big class-action lawsuit against Yum Yum Donuts in Oxnard and, to show his appreciation, quietly donated $350,000 of his fee to Casa de la Raza, explaining, “I assumed the money would be used to pay for the services I was privileged to have received.” It didn’t work out quite that way. The money was placed in a separate account, known as the Founders Fund, in order to shield the donation from the IRS, which was then aggressively impounding any Casa revenues. Nonetheless, $100,000 of Nava’s money went to those federal tax collectors to settle such troubles. All of the remaining $250,000 has been spent, much paying off prior debts and operating expenses. But no detailed accounting has been provided to date. That mystery has created a constant stream of questions, especially from one of the organization’s founders: Leo Martinez, a former Santa Barbara city councilmember who now lives in New Mexico. Smart, opinionated, and prone to step on toes, Martinez has been working overtime to rattle the cages of director Raquel Lopez and longtime La Casa board president Marisela Marquez, persistently asking what’s been done with Nava’s money and what’s being done to keep the building from being sold. Specifically, she’s been trying to recruit a more financially savvy board of directors and talking to various prominent donors — such as the Hutton Parker Foundation and the McCune Foundation, the latter having committed $23,500 — to help La Casa extricate itself from the current mess. And next month, La Casa will be hosting the first in a series of fundraisers with a Very Be Careful concert of Colombian folk music on January 12. La Casa has also hired attorney Nick Schneider of Seed Mackall, whose expertise in estate planning and taxes is matched with his familiarity with nonprofits. The existing problems could be handled in a matter of months, said Schneider, but after that it would be up to Lopez, the Board of Directors, and the community to figure out how to make the organization financially sustainable over the long haul. Even La Casa’s new attorney admits that the process has been marked by fits and starts. Schneider was initially contacted by La Casa to help with their property tax problem 18 months ago, but it was only two months ago that he was provided the tax information needed to proceed. La Casa’s property tax problems date back to 2004, when its first failure to pay the bill was recorded. Every year, it’s bumped up roughly by $8,000 with penalties. According to former La Casa board president Luis Villegas — also a trustee with Santa Barbara City College — the tax rules changed shortly after the turn of the new millennium. In the old days, La Casa was entirely exempt from property taxes because it was a nonprofit, but under the new rules, the organization was supposed to pay property taxes on any of the square footage it rented to for-profit enterprises, such as attorney offices and a car repair shop. La Casa will probably be able to write off plenty of its existing property tax bill, believes Donati, the county collector, but to do so, the organization will have to mend fences with the Secretary of State, which suspended its nonprofit corporate status six years ago. Until then, La Casa will remain on the hook for the full amount. The good news is that should be an easy fix, according to Schneider, because the suspension is related to a mere $350 fine for failing to file paperwork in a timely fashion. The bad news is that, because La Casa waited so long to address the issue, certain remedies are no longer on the table. For instance, once a delinquency exceeds five years, the county can no longer offer a payment plan option, instead requiring a lump sum payment. And in La Casa’s current situation, said Donati, the nonprofit may have to come up with $91,000 by May 2012 to stave off the building’s auction. Some wiggle room exists for the actual auction date. By law, the auction doesn’t have to happen this May; it could wait until May 2014. But Donati noted that tax auctions are rare events and are extremely time consuming and expensive for the county. Given that 30 other properties are scheduled for auction this May, Donati said it would make logistical sense to include La Casa. This prospect has Tomas Castelo, La Casa’s first director, nervous. Given that Costelo effectively holds La Casa’s current mortgage, he’s under pressure to pay off the back taxes or risk losing his ownership interest in La Casa in the event of a tax auction. Since 2000, La Casa has had five executive directors, and not all left behind reliable financial records. Some payroll taxes weren’t properly paid, but others were. Given the record-keeping gaps, Lopez said it’s not always possible to say what La Casa owes. Compounding matters, the IRS reportedly has confused Santa Barbara’s La Casa with a medical clinic in Oakland with a similar name. Lopez insists that some portion of La Casa’s IRS tax liability properly belongs to the Oakland clinic. But again, the records are hardly definitive. Given Santa Barbara’s immense wealth, La Casa’s financial problems aren’t insurmountable, but to access that support, everyone will have to put aside vendettas, suspicions, and resentments. Certainly for Lopez, who had to forgo her own paycheck for months at a time to keep La Casa afloat, much of the criticism feels decidedly personal. “What’s the point of bringing people in who just want to talk smack?” she asked.